It’s a normal day in the desert for Marty, AKA Martina Escobar. As she tends to her animal charges at the Desert Star Preserve in Ferocious, Arizona, a newspaper covered rock falls out of the sky. Three minutes later, a small airplane does the same. Marty is used to the unexpected. She chose an out-of-the-way life in an out-of-this- world location to escape a dark family secret. When the smoke from the downed plane clears, both the dazed pilot and the mysterious passenger have disappeared. 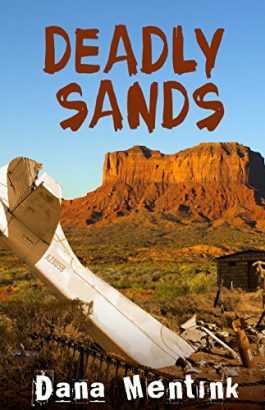 With the help of her beloved Yavapai cohort Joe Hala, Marty must solve the mystery of the plane crash, while keeping her own family secrets out of the limelight. The Arizona desert just got a whole lot deadlier.